Hot tubs are large bulky items. 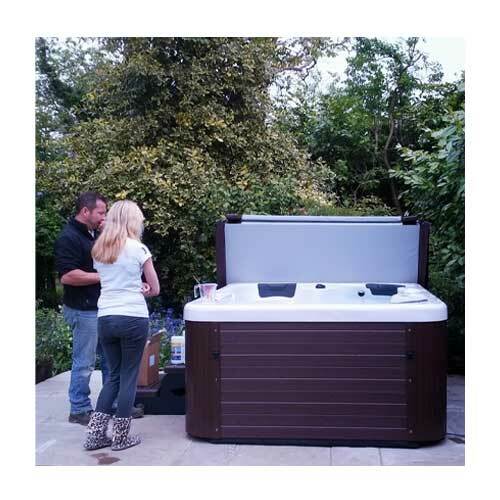 They are supplied fully assembled as one complete unit, just like you’ve seen in our showroom. To carefully transport and manoeuvre such a large, heavy and valuable item we use specialist equipment. The hot tub is positioned on its side for moving. In rare cases where access is restricted a crane or hiab can easily lift a hot tub over a wall, a garage or even over your house. Please note that the cost of the lift is not included in the price of your hot and there may be an additional charge. If you have any doubts or questions over access we can carry out a free no obligation site survey. Please call or email to arrange this.